Refried beans are a staple of Mexican cuisine, used in everything from dips to burritos. 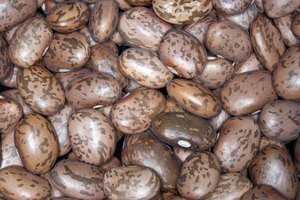 They're made from pinto beans that are first boiled until tender then mashed and cooked with spices. Both homemade and canned refried beans are reheated with the same method, which prevents them from drying out so they stay creamy. Place the refried beans in a pot over medium heat on the stovetop. Stir the beans constantly to prevent them from sticking to the bottom of the pot. 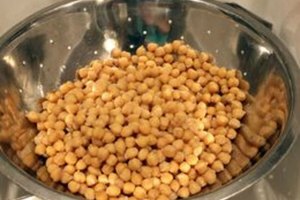 Add water or chicken broth, 1 teaspoon at a time, to keep beans from drying out. The amount of water depends on your desired texture. More water gives them a runny consistency, and less makes the them firmer. Reheat the beans for approximately 5 minutes or until heated through. Do not allow the beans to boil, or they'll dry out and burn the bottom of the pot. Refried beans also warm up well in the microwave. Heat on high for 4 minutes in a covered container, stirring once. 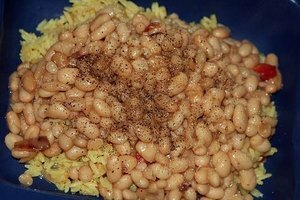 Microwaved beans are more prone to drying than those heated on the stove.